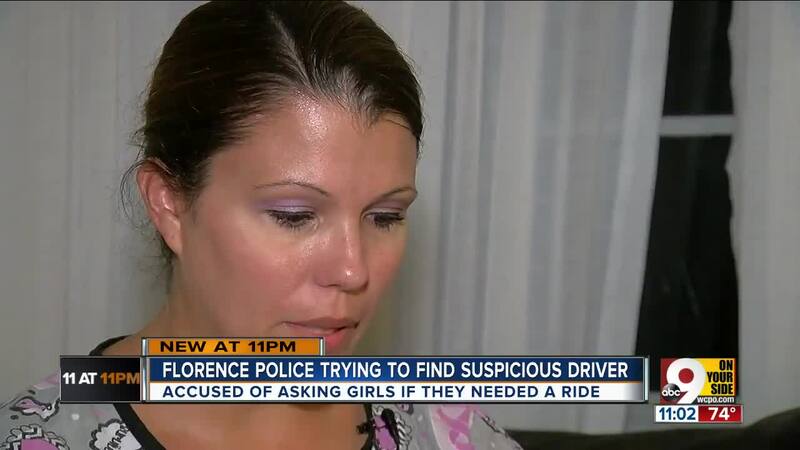 Girls standing outside of their home are asked by man if they need a ride. 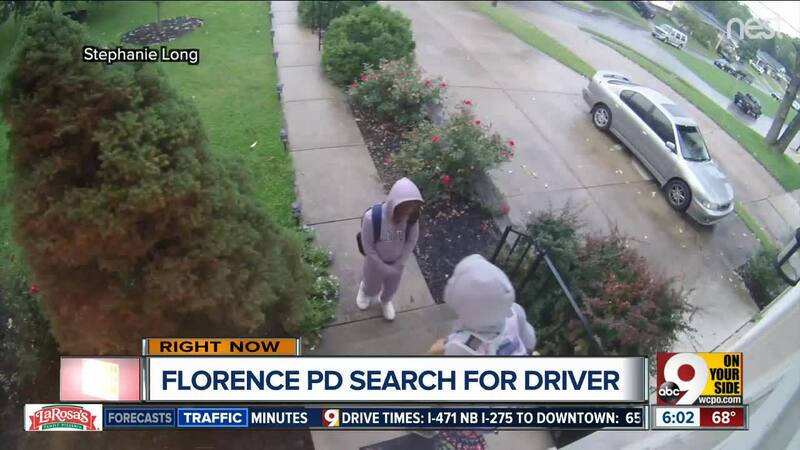 FLORENCE, Ky. -- Police say a white man in his 30s with a blonde goatee was in a blue or green Cadillac Escalade when he asked two girls waiting for a bus in front of their house if they needed a ride. The girls went back inside and told an adult. "I get a call from [my fiance] this morning at work... saying there's an emergency," said Stephanie Long, the mother of the two girls. "I knew something wasn't right." Long said her kids usually wait for the bus at a stop sign near their home, but because of the rain, her children waited outside their house. The family's NEST outdoor camera showed the man's car stopped outside of their house, and you can hear on the video the man ask if the girls needed a ride. "That’s when my daughter pulled her younger sister into the house, and grabbed an adult," said Long. In the end, Long said she is thankful for the rain this morning and that her older daughter was looking out for her sister. "They could be gone... I'm just thankful." If you recognize or see this vehicle, you are asked to call Detective Corporal Adam DeSalvo at 859-334-5551, or you can email him at Adam.DeSalvo@Florence-ky.gov.